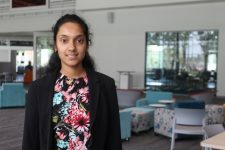 The Technology Association of Iowa (TAI) named Waukee High School senior Nupur Udipi, APEX alumni Emma Durflinger and instructor Holly Showalter, Ph.D. in a list of finalists for the 10th annual Iowa Women of Innovation Awards Presented by Workiva. The awards recognize and celebrate women in business, government and academia who are leaders in the fields of science, technology, engineering and math (STEM). Showalter is a science instructor for the APEX program and was nominated under the category of STEM Champion. Prior to her involvement with APEX, Showalter worked in Research & Development at Kemin Industries. She transitioned to education in 2012, taking on the role of AP chemistry teacher. It was her background in the industry, combined with her passion for education, that made her a perfect fit to help develop the APEX program. This year, Showalter helped the program launch the medical and bioscience research course which gives students the opportunity to perform college-level cell culture, PCR, microbiology and spectrophotometry. Udipi is currently enrolled in the APEX Medical and BioResearch class. She has been a member of the FIRST Tech Challenge teams for 5 years and the design team captain since 2015. She helped lead the team to Super Regionals for the first time in Waukee High School’s history with her work on modular design, CAD modeling and 3D printing. “I like teaching the design process in robotics because it’s a fairly straightforward thing, but when implemented well, it singlehandedly turns a good team into a great one,” Udipi said. 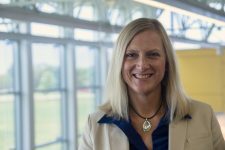 In addition, she recruits younger students interested in STEM through volunteering with the Science Center of Iowa and mentoring other FIRST teams further earning her nomination in the Youth Innovation and Leadership category. “I have always been interested in STEM and I want more people to get interested and see that there is much more to it than the theory we are taught in class,” Udipi said. Durflinger is a 2017 graduate of Van Meter High School as well as an alumni of the APEX program. She had the opportunity to take the Developing Web Based Technologies course where she was able to work with various web tech companies. She even created and launched the website She Plays, a site devoted to the empowerment of female athletes. Currently, Durflinger is a freshman at Indian Hills Community College and is studying Interactive Media Technology. She is a finalist for the Women of Innovation Awards under the category of Youth Innovation and Leadership. Durflinger plans on attending a university in Iowa after graduating from Indian Hill. Congratulations to all of the nominees! We wish them continued success in all of their future endeavors! 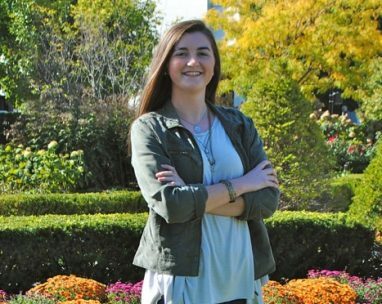 Nominee Emma Durflinger currently attends Indian Hills Community College and launched the website ShePlays. Nominee Dr. Holly Showalter who instructs the BioResearch and Medical strand of APEX. Showalter also won the Governor’s STEM Award. Showalter is well known for providing her students with advanced, college-level knowledge. Nominee and Waukee High School senior Nupur Udipi. She is enrolled in the BioResearch and Medical strand of APEX. Udipi has significantly impacted the WCSD’s FIRST Tech Challenge teams by mentoring beginners and taking up the role of design captain for the past three years.